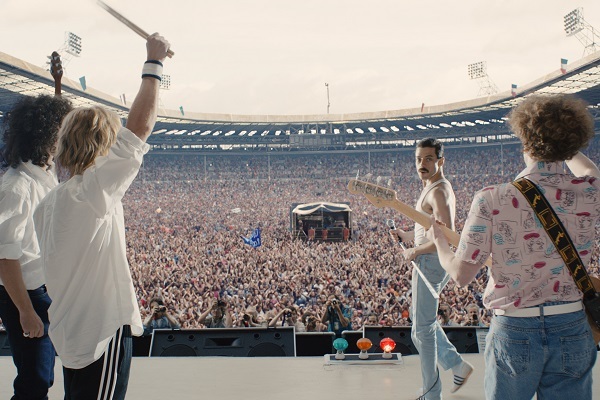 The Queen biopic “Bohemian Rhapsody” has been nominated for two awards at the 76th annual Golden Globe Awards. The film, which chronicles the rise of Queen and life of late frontman Freddie Mercury, is up for the Best Motion Picture — Drama award, and Rami Malek, who starred as Mercury, is nominated for the Best Performance by an Actor in a Motion Picture — Drama award. For the full list of nominees, head to GoldenGlobes.com. The 76th annual Golden Globe Awards will air on NBC on Sunday, January 6, at 8 p.m. ET/5 p.m. PT. Sandra Oh and Andy Samberg will host the show. As for Queen, the band recently announced a 2019 North American summer tour called “The Rhapsody Tour” that will being July 10 in Vancouver, Canada. The current lineup of the band features original guitarist Brian May and drummer Roger Taylor with Adam Lambert on vocals. For tour information, visit QueenOnline,com.